I have a confession to make…. I like gummy bears. I could easily go through an entire bag on my own in one sitting. 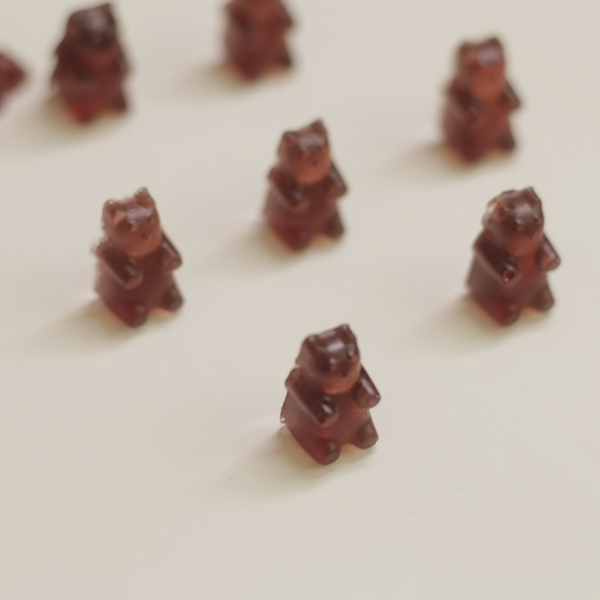 Lately, I have seen a lot of recipes for gummy bears, including wine gummy bears. Being the curious hostess that goes all out to entertain friends, I thought it might be a fun treat to serve for Girl’s Night In. Here’s what I learned from the wine gummy recipe experiment, and yes I’m calling it an experiment. Buy good wine. I bought 2 buck chuck to save money on the trial run. The consensus was they looked pretty but tasted like crap. In hindsight, the recipe only calls for a cup, so buy a bottle you will drink and the gummy bears will taste better too. Don’t add in the food coloring. It’s gross and does nothing for the flavor. Instead, use a good red wine for the same result. Make sure you fill the molds to the top. I didn’t do that and had a few with really thin heads when I removed them. Despite them not being a great success the first time, I wasn’t giving up on the idea. I tried them again using a better wine, instead of the cheap stuff. The results are still pending. In a small stock pot, warm the liquids and whisk in the sugar and gelatin. Stir until they dissolve. Bring mixture to a boil and remove from heat. Using a eye dropper, fill in the gummy bear molds. Place molds in an air tight container or in a baking pan and cover with foil. Chill up to two hours before serving. When they are ready, gently remove them and serve in fun little vessels. I used square bowls, but you could use crystal or champagne flutes. Another idea is wrap a few into pretty cellophane bags and tie with a bow for favors as friends leave.